One of typography’s greatest creations is the ampersand. A beautifully crafted logogram that originally came about as a ligature from the Latin term “et”, which means “and”. The idea was to put those two letters together, “e” and “t”, to form this elegantly constructed piece of art. In some cases, you will still be able to see these letters formed into the logogram. In typefaces such as Adobe Garamond or Adobe Caslon Pro (both in italic), that is seen below. This beautiful design is seen as the most recognizable ampersand. In Adobe Caslon Italic, the ampersand is easier seen as a ligature. You can see where the letter “e” forms into a connected letter “t”. It’s large ink drop terminals create a very humanist, handwritten feel to it. But, through the centuries the ampersand has twisted and transformed into a different kind of logogram in which it is more commonly recognized today. Helvetica is a very common typeface used among us, so as the next example it will be the modern ampersand, in Helvetica Neue. Here, the ampersand has clearly taken on a new transformation in which it still keeps with its original shape. 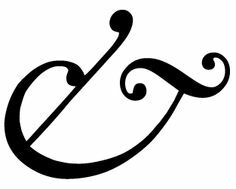 But, how did we get to the word “ampersand” to represent this logogram if so many people today refer to it as the “and symbol”? Well, of course, as most things do, it goes back to Latin roots. It was said, “and, per se and”, which roughly translates to, “and the symbol by which itself is and”. We should really all be quite glad that the word ampersand became part of our dictionary back in 1837. Of course, we won’t give you too much of a boring recap of the history of the ampersand, despite how fascinating we find it. It’s a reference, though, worth checking out! There’s an amazing book called “Megg’s History of Graphic Design” written by Alston Purvis and Philip B. Meggs. It’s a good read and allows for a lot of information to be taken in without falling asleep. It starts you off with an amazing introduction of the history of the alphabet that we find very intriguing. 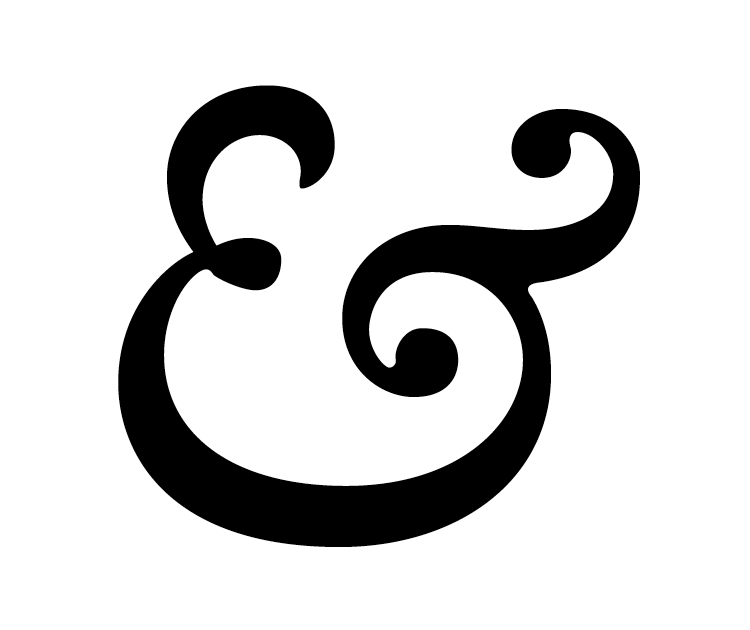 There are many places to discover more on this topic on the internet, but a great article that sums everything up quite nicely about the great beginnings of the ampersand is here; it will give you more valuable information. Of course, in the end, as many designers drool over how creative and beautiful a lot of these ampersands are, the greatest part is that you’re able to go and design your own. Now that you know how the logogram came about, starting as a ligature of “et”, you have the knowledge of its function. So go on and get started! Show us what you come up with in the comments!